Are you an Etsy addict? Do you spend your weekends buying hand-sewn goods at craft fairs? Are you looking for a way to showcase your unique style? In Intro to Craft Sewing we will set you on the path sewing all your wildest dreams. 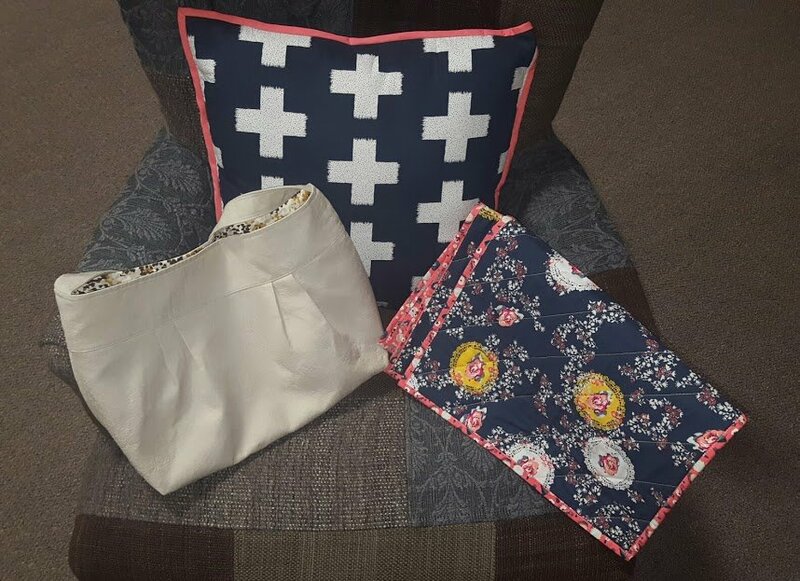 This class focuses on the basic sewing skills you need to create fun and exciting crafts you can give as gifts, sell at markets, or just covet for yourself! Zip it pillow - A throw pillow with an invisible zipper closure and binding around the edges. Techniques covered: Creating a seam with an invisible zipper, creating and using straight-cut binding to finish an edge. Set The Table Placemats - Dress up your table in a fun way while you learn basic machine quilting. Pleated purse - A simple, yet sophisticated purse that can fit all your essentials. Techniques covered: Learn to create simple tuck pleats, use multiple layers of interfacing, create two kinds of pockets (including a zippered welt pocket), box your corners to give your purse a professional look. This class requires that you have taken the Intro to Modern Sewing class or have equivalent sewing skills. Class book and supplies must be purchased at The French Seam.